Topics: Policies, Arts And Crafts, Bolo, Bracelets, Charite Pendents, and Chokers. Ntt America Inc (Colorado, Centennial) is the location of the Microsoft-IIS/7 server. 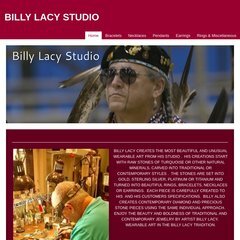 Billylacystudio.com's server IP number is 209.157.71.203. There are 3 Nameservers, ns3.mdnsservice.com, ns1.mdnsservice.com, and ns2.mdnsservice.com. PING websites042.intuitwebsites.com (209.157.71.203) 56(84) bytes of data.